In the following video, you can listen to various positions around a sculpture by Henry Moore. Each position is played 3 times. The sound is triggered with a pre-recorded sample of snapping fingers. 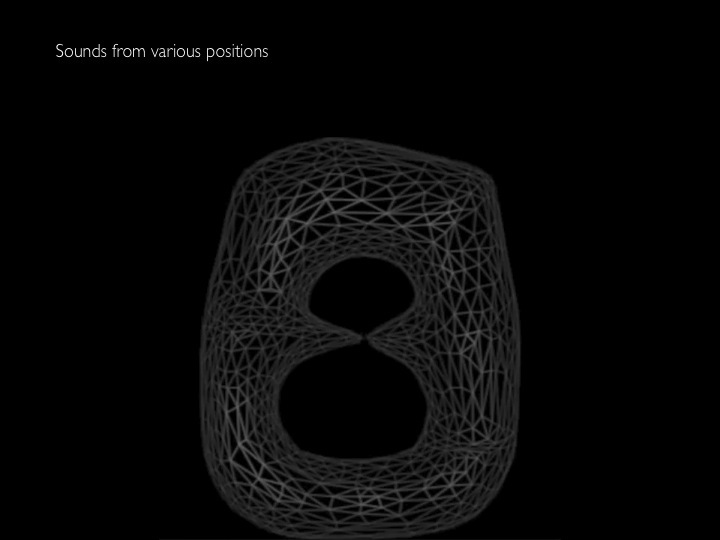 When you compare the sonification with the 3D mesh in the video, you will find that the louder sounds belong to the brighter surface triangles or areas of the sculpture closer to and facing you. 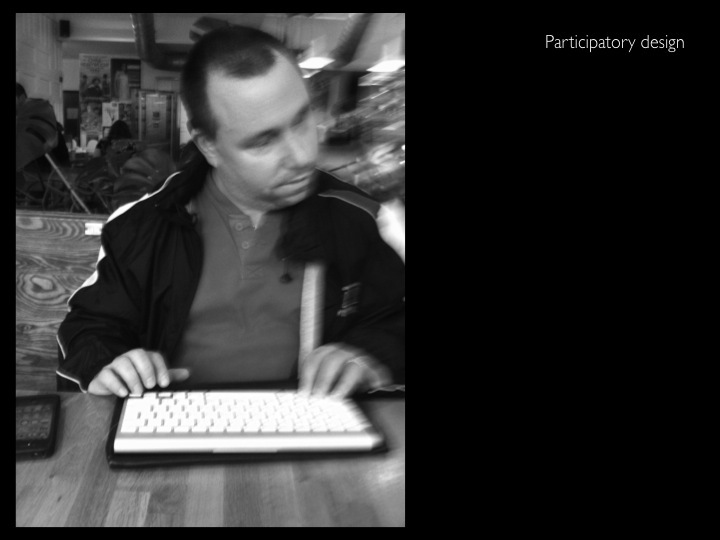 In September of 2012 we had the opportunity to test our project with various participants from the visually impaired community in Montreal. It was exciting to see that some of our audio rendering cues made sense to them and that our participants were able to identify the different positions of the sculptures tested. Big thank you to all of our participants for kindly coming to CIRMMT to test our proof of concept. 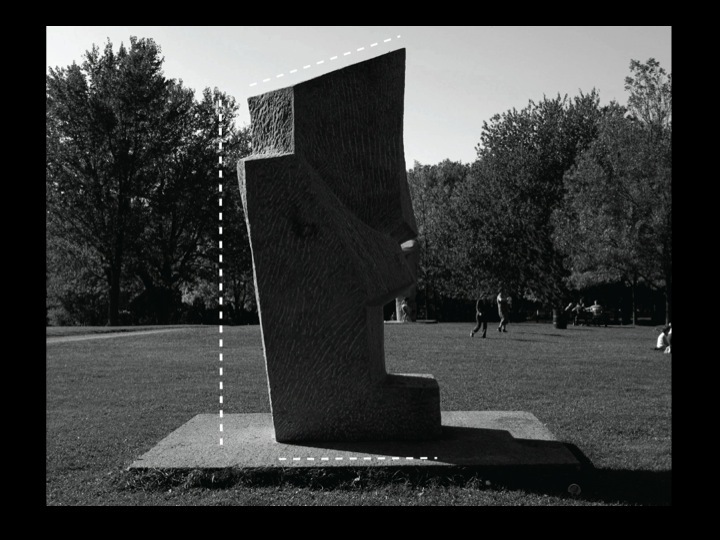 For our pilot study we built small replicas of various existing sculptures; some of them found in the Mont Royal park. We placed the replicas on a rotating knob that allowed our participants to explore them from different view points (by rotating the knob). This was analogous to going around the sculpture. The exploration consisted of touching the sculpture and snapping fingers (or tongue clicking) from each different position. The sculpture replied back to each sound produced by the participant. 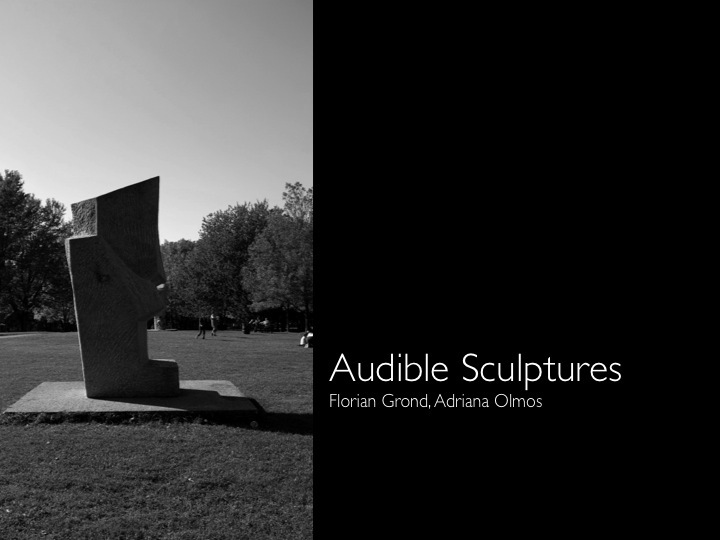 The audible response was created by convolving the input sounds with a sonification of the sculpture that was based on the triangular mesh from the 3D model. We took into account the triangle size, its vertical position and the surface-normals with respect to the listener perspective. 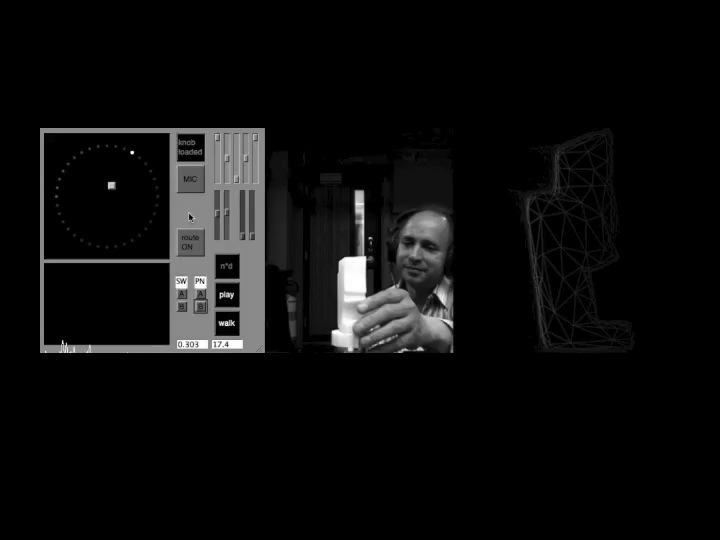 The interaction between the participant and the sculpture is illustrated in the video below. The example illustrated here relates to a sculpture by Henri Moore. The following audio files present an example of the two different audio rendering approaches tested. The first one, shockwave, is inspired by echolocation, where surface triangles respond according to their distance to the listener. The second approach, panorama, is a scan across the stereo-panorama from left to right. 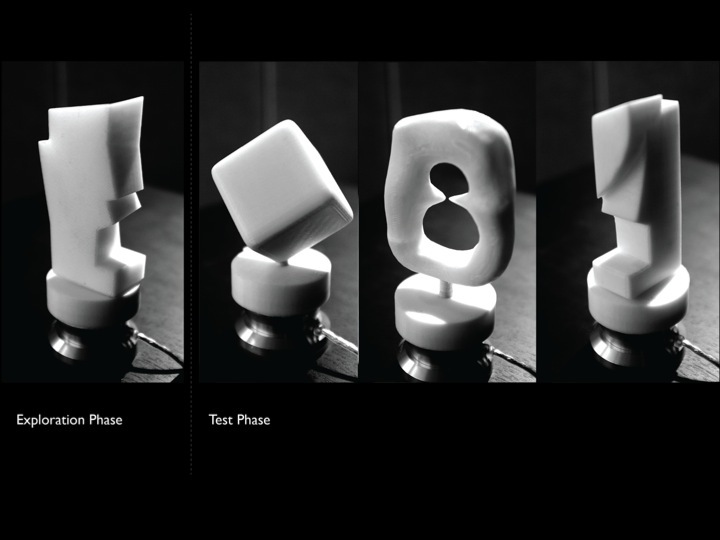 The diagram below presents our pipeline to create the audible sculptures. 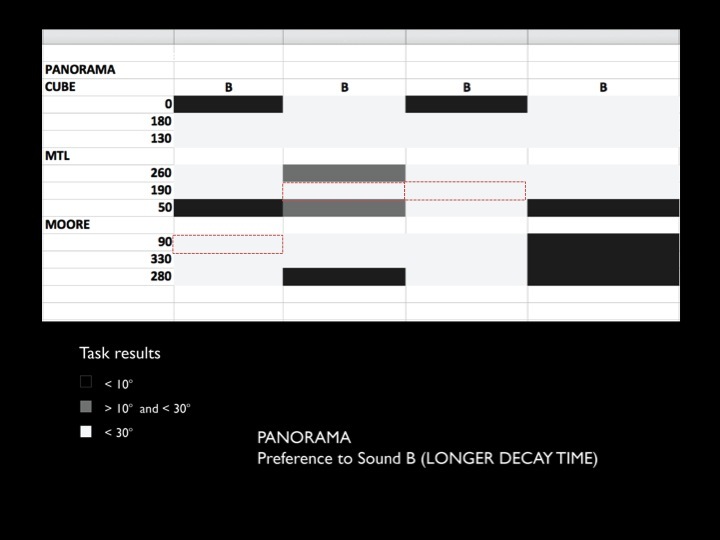 It goes from measuring the sculptures to generating a 3D model of the sculpture, all the way to our real time sound synthesis program in SuperCollider. 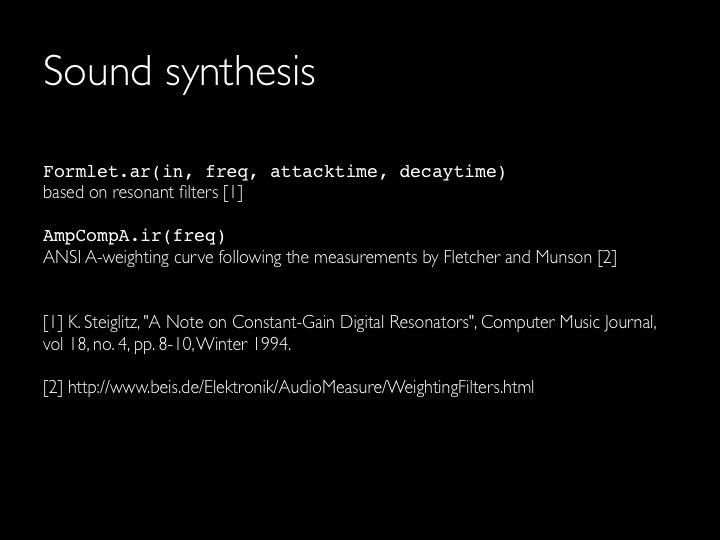 Using the OBJ format was the bridge between the 3D world and our audio synthesis program. 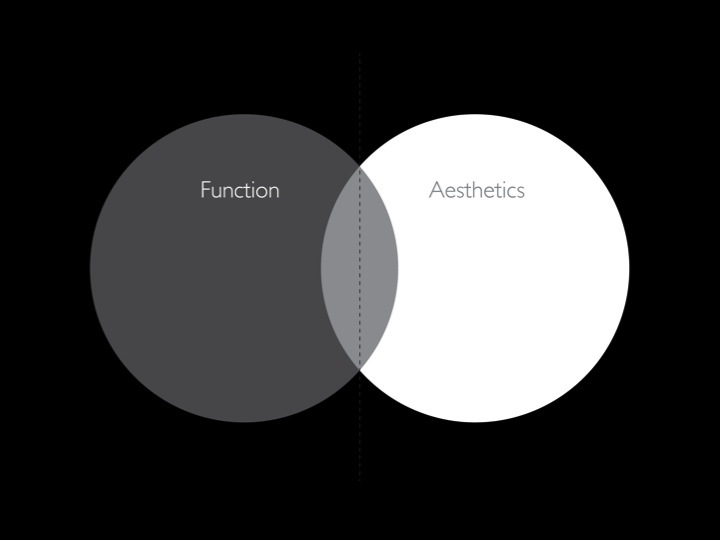 We found the description of the OBJ format by Paul Bourke particularly useful. Thanks to the the Wavefront OBJ Matlab toolbox by Dirk-Jan Kroo we were able to import our OBJ files into Matlab. From here it was easy to manipulate a large matrix with the vectors and surface normals to then output a CVS file with a data format that facilitated the reading and processing of the 3D model in SuperCollider. Motivated by observations during our field study with the blind community within the In Situ Audio Services (ISAS) project, we were intrigued by the possibility of rendering for them an acoustic description of physical art forms as an analogue to the experience that sighted individuals receive as they walk down the street or visit a museum. This project was possible thanks to the Strategic Innovation Fund award from the Centre for Interdisciplinary Research in Music Media and Technology (CIRMMT). The project was developed at CIRMMT and the Shared Reality Lab led by Jeremy Cooperstock.